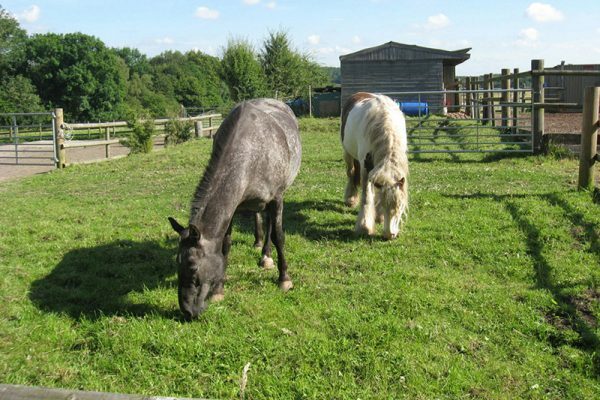 Two Ash Stables provides Equine Assisted Psychotherapy (EAP) in the beautiful Derbyshire countryside on the outskirts of Chesterfield. 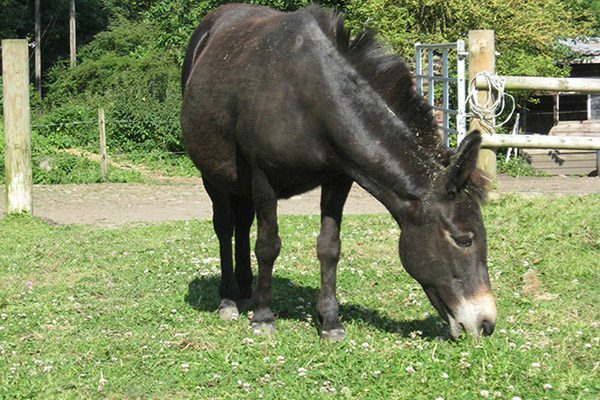 It is a collaborative venture between psychotherapists, equine specialists, three horses, a mule and a pony. We follow the EAGALA model of practise, an American charity and training organisation which sees the herd, an equine specialist and a psychotherapist hold the sessions together. Alexandra Graves is also trained in the LEAP Method of practise where she holds sessions solely with the herd. EAP involves individuals, young people, couples, families or a group interacting with one to five of the herd, depending on personal choice, in ground based activities. This is followed by time to reflect, process and maybe talk about what happened. It is a short term experiential client led therapy. No experience of horses is necessary and no riding is involved. Horses are one of the animals that people have had a close relationship with over thousands of years. Humanity made a great leap forward when the horse was domesticated, a discovery akin to that of fire. When the horse accepted us onto their backs we became faster and they could carry heavy loads for us for great distances. Through our relationship with the horse, we humans altered our self-concept beyond measure. The horse came to represent power, sociability, strength, energy, loyalty, movement, respect, self-esteem and freedom of spirit. They still offer to teach us about these qualities. Horses are social animals. They are very curious about everybody they meet. They want to engage in relationship, play and express their own distinct horseanalities. What is the point of EAP? Horses live in the present moment. Their presence calms, grounds and fosters a sense of peace. They respond to you honestly, without judgement and with acceptance. 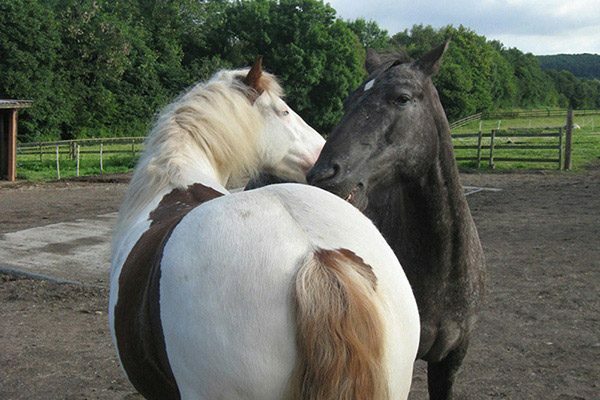 Since horses are very social they are highly sensitive to emotional energy and the intention behind it. They have an uncanny ability to mirror back to a person their own process, patterns, behaviour and way of being in life. They give immediate feedback if you say what is really happening for you or change your approach. Engaging with the herd with the activities allows you to see and try out alternative ways of relating to the world and others and develop skills that will be useful in your lives and relationships. Self-development goals of any kind, communication problems and behavioural concerns. It offers support with relationship, partnership and family dynamics. Specific issues it can help address are ADHD, PTSD, autism spectrum disorder, abuse issues, trauma, anger management, grief, eating disorders, sadness, anxiety, substance abuse and addiction.